On weekdays, a changing lineup of food trucks rotate through The Court Urban Food Park – downtown’s first food truck park. Starting this Wednesday, a full service, mobile grocery store called Saturiwa Trading Company will open selling affordable and healthy foods for downtown employees. As part of The Court Urban Food Park’s new Midweek Market held every Wednesday from 11am until 2pm, specialty food vendors will be selling locally-produced, artisanal foods- highlighted by the inclusion of Saturiwa Trading Company. 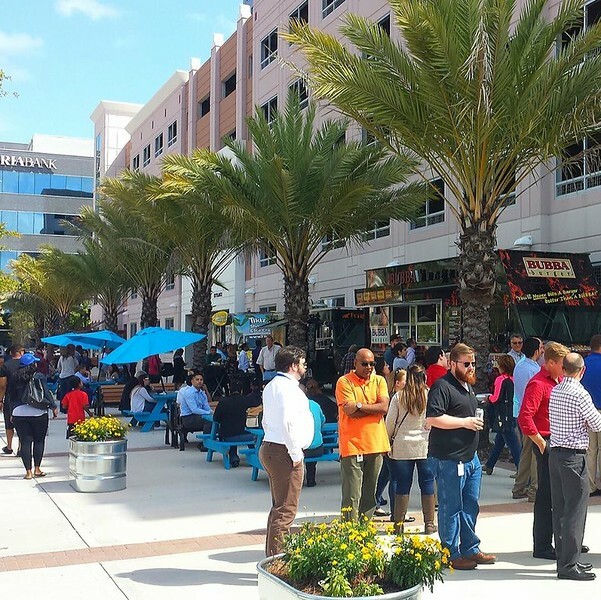 The Court Urban Food Park has become a popular lunchtime destination. This downtown attraction will be enhanced with the addition of the Midweek Market every Wednesday from 11am until 2pm. Items available at the Midweek Market include but are not limited to: seasonal fruits and vegetables, rice, grains, nuts, dried fruits, local tempeh, seafood, local milk, freshly baked breads, artisanal cheese, hand made popsicles, spices, local honey, locally raised grass fed beef, local pork, local rabbit, local bison, local alligator, local quail and pheasant, baked goods and a variety of hard-to-find, gourmet snacks. The Court Urban Food Park is located along Hogan Street between Bay Street and Independent Drive, adjacent to the Suntrust Tower Parking Garage.